Do you ever find yourself looking around the fridge for something? What exactly is it you’re looking for? But maybe a sandwich of some sort. Maybe a pickle, sweet or sour? No. That is definitely not it. There in the corner of the crisper. A forgotten bag of oranges. 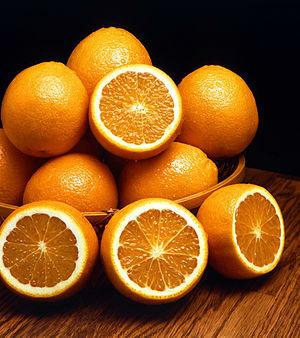 Your palate is getting ready for the cold sweetness of one of those oranges. As you begin to peel off the outer covering to reveal those sweet sections of goodness, you notice something. This fruit is far past it’s sell by date, and is good for nothing. It may help make your garbage disposal smell a tad better, but there is no way you can eat it. It s simply NOT FRESH. Well experience has told me that my walk with Christ is much the same. I must see that the fruit of my spirit is replaced often. Daily if at all possible. I find that if I do not intentionally “Eat” this fruit when it is fresh, then my life becomes squishy and a bit off color. The love, I show isn’t quite as loving. The joy I have isn’t as joyful. The peace I usually experience is quite so peaceful. You can see what I mean – the rest of the list will be the same. Not at optimum healthiness or flavor. My walk with Christ will then become boring and tasteless, difficult to handle. Not at all the picture that I want to re-present as Christ. The easiest way I have found to do this is to make an appointment. We make appointments for doctors and dentists and football games, why not for refreshing ourselves with God? This appointment does not need to be lengthy. It can be ten minutes or two hours. Hey – You – Busy mom of pre-schoolers – Listen up! It can be thirty seconds behind the bathroom door! The place doesn’t matter as much as making the appointment. Just make that appointment and keep it! Often. Daily if at all possible. Now what do I do once I make that appointment and get to the appointment place? Well there s not just one thing you can do. There are a variety of them. Be silent. Direct your thoughts toward God. Sing a song or hymn. Above all, KEEP THE APPOINTMENT! The more likely it is that you need to double up on your intentions! Then see if your love and joy and peace and patience and kindness and goodness and faithfulness and gentleness and self-control take an upswing! But most of all, your relationship with the Fresh Fruit Grower will begin to blossom sweetly! Oh what a difference that will make!